Comic T-Ray Sanders performs a unique pep rally style of comedy here at the Comedy House. It is a hit with audiences at comedy clubs across the country, generating plenty of laughs, but also sending out a message of motivation. When you here the name Thomas Ray Sanders, you probably assume he is just another average guy, but when you hear him called by his popular stage name “Comedian T-Ray” you know he is anything but average! T-Ray Sanders, grew up with his grandmother in High Point, N.C.. She knew he was anything, but average. Childhood memories include singing in the church choir & giving the graduation speech for his 5th grade class. He was chose for both due to his extremely loud voice, which caused him to stand out in any crowd. This over whelming presence is what led him into his current career of acting and comedy. T-Ray performed his first comedy act his senior year of high school. This was the beginning of his love for the stage, known again, for his LOUD voice. 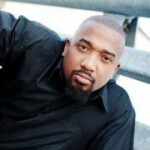 Has performed in several stage plays during his lifetime. 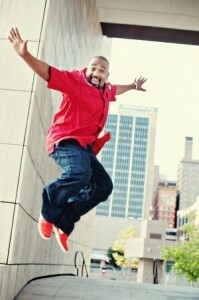 He is a member of Kappa Alpha Psi Fraternity, INC. and a Greek Step Show Performer. T-Ray has been on a road to Hollywood that has allowed him to do stand-up comedy with Chris Tucker, Eddie Griffin, Cheryl Underwood, A.J. Johnson, J.B. Smoove, Katt Williams, Arnez J, Gary Owens, Tyler Craig, Zooman Miller and many more. Comedian T-Ray is excited about the future opportunities in store and accepts his calling to “entertain the masses LOUDLY!